Tea revitalizes our day. We find it fascinating to blend the finest premium teas with elegantly crafted accessories. We have come up with an eye catchy and foodie tea chest baskets in any size and price points. Each tea chest carton is creatively and tastefully arranged by expert professionals and they come up with one-of-a-kind work of art every time. If you are having a hard time shopping gifts for tea lovers who happens to be your colleague, relative, friend or your love, we have the perfect tea gift basket. You may choose from our fun, colorful, sophisticated or indulgent tea chest bags. So gift you loved ones from our exclusive range of high-quality such as bamboo, sea grass and solid wood materialized tea boxes with timeless essence that they can admire for years. Our signature tea boxes stands out from the rest. We also have hand printed tea chests for a truly unique artistic gifting. Our premium tea chest boxes are available in different sizes. Large twining wooden tea boxes with 12 compartments, plain wooden tea boxes with 3, 6, 9 or 12 compartments, twinning mini customized tea boxes are a few among them. Choose the one you love and enjoy the smile that your gift will bring on the receiver. We have the excellent range of finest tea bags specially crafted and thought out by our experts. Some of our options include wooden tea gift box, tea packaging boxes, jute tea box, wooden tea box with compartments, Pyramid tea chest box for tea bags, design tea boxes etc. We are sure to fascinate you with this exclusive range. We have launched our excellent collection of quality tea chest bag at the most reasonable range in the market. You may compare it with others for your satisfaction. We believe in the saying that ‘Promises are meant to be kept’! Hello! I’m a tea and spices seller. 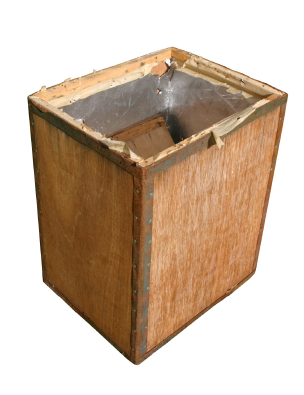 Could you send me pictures of this Tea Chest Box, with dimensions and prices, please. Do you ship to Portugal? If so, send me also pictures and description for jute tea box.